The Nintendo 64 was Nintendo's third home console, whilst the acclaimed PlayStation, or PSOne, was Sony's first entry into the video game market. Both competed during the sixth generation, alongside the Sega Saturn between 1995 and 2003. The Saturn trailed with 9.5 million units sold and faded away quickly, whilst the Nintendo 64 reached promising heights with global sales of 32.5 million. However, the PlayStation lead the way by far with sales of 102.3 million, making it the fourth highest selling game console only behind the Game Boy, the Nintendo DS, and it's successor, the PlayStation 2. Both consoles offer similar 3D graphics, finally introducing gamers to a far more complex and open world for gaming. The PlayStation innovated the market in terms of offering larger games on CD's and the inclusion of memory cards, whilst the Nintendo 64 boasted an impressive lineup of first party titles and a total of four controller ports, allowing for larger and more dynamic multiplayer offerings. 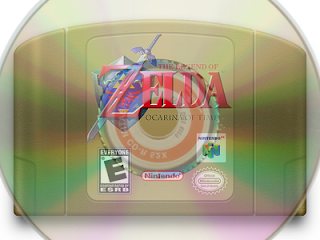 The inputs also differ - Nintendo 64 games were playable via cartridges inserted into the top loader, whilst the PlayStation became one of the first systems to utilise discs and external memory cards. Cartridges negated the need for these memory cards and made excessive load times virtually non existent, but had limited storage space compared to it's disc competitor - which could store around 10 times as much data. This meant N64 games featured little to no full motion cutscenes, and large third party games ported from the PS1 would be dramatically downgraded in several areas. In the end, these formats both have their perks and weaknesses, with none really outweighing the other once you sit down and just enjoy the games; and while cartridges have their limitations, they can still take one hell of a beating over the years and work to perfection. Nintendo's first party offerings made the N64 one of the best console's in history; boasting stellar titles such as Super Mario 64, Ocarina of Time, Majora's Mask, Donkey Kong 64, Star Fox 64, and many others, though it was lacking on the third party front. Most notably, however, now Microsoft-owned Rare produced the renowned GoldenEye 007 and Conker's Bad Fur Day exclusively for the N64, which later became two of the most beloved titles on the system, despite the latter being met with poor general sales. One of the core weaknesses, at the end of the day, was a distinct lack of third party support compared to the PS1, which didn't exactly help to market the system to those looking for new offerings outside of Nintendo's current franchises. 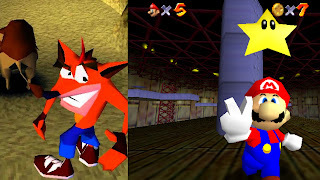 The PlayStation had a multitude of first party and third party games, with notable franchises being Crash Bandicoot and Spyro the Dragon, which helped to broaden it's appeal. Crash Bandicoot remains one of the best games I've ever played, and Spyro 2 probably ranks as my favourite game on the console itself. However, it sometimes just felt that the primary first party titles of the PlayStation could not compete with Nintendo's own, and made far less of an innovative impact on today's industry. Still, there's no shortage of enjoyment for fans of many genres. The N64's controller is, for me, one of it's core flaws - whilst it tried to be crafty and allow for flexible gaming, it was rather cumbersome to hold and had a mediocre and relatively uncomfortable analogue stick. It's large size also makes it look ridiculous and unattractive; the PS1's pad, on the other hand, is comfortable, compact, and features two precise and soft analogue sticks; behind the Gamecube controller, the PS1 controller is probably one of the best to date, and it's no wonder Sony have chosen to stick with this design even decades on. There's no real superior console here as they both have their pros and cons; and each one caters to the fans of the franchises that stem from it. 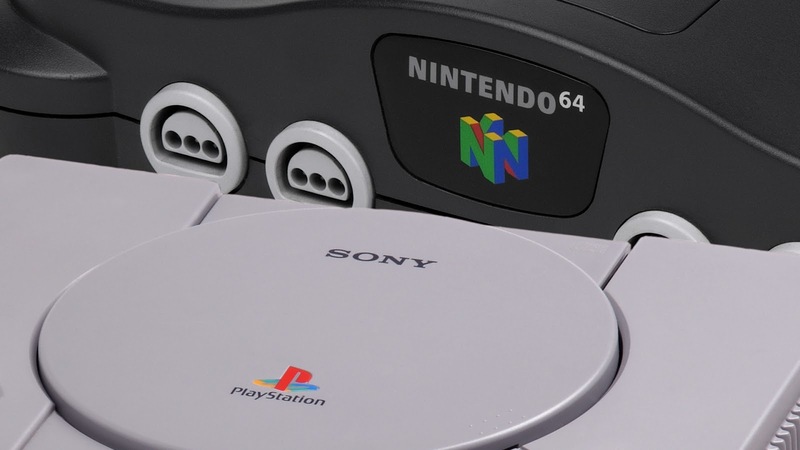 The N64 and PS1 remain massive favourites of mine, and whilst I lean towards the former more so due to it's outstanding first party offerings, it's no doubt that these consoles are a massive highlight in the history of video gaming.